The UFC lightweight champion explained why he does not plan to move into the political sphere anytime soon. While Khabib Nurmagomedov may have hinted at a career in politics over the past few months, he has no intention of making the transition just yet. In an interview with Match TV this week, the UFC lightweight champion revealed that he has “not thought about it yet” and would rather keep his options open for the time being. While Nurmagomedov was non-comital about his plans to enter politics, it does appear as though the UFC champion is setting himself up for a political career. In the weeks following his UFC 229 victory against Conor McGregor, Nurmagomedov has embarked on a political victory tour that including meeting the likes of Russian president Vladimir Putin, Chechen dictator Ramzan Kadyrov, members of the United Arab Emirates royal family, and Turkey’s president, Recep Tayyip Erdoğan. Each of those leaders posed with the UFC champion and congratulated him on his victory. Outside of his victory tour, Nurmagomedov was also offered a government position as the assistant to the Head of Dagestan, Vladimir Vasilyev. 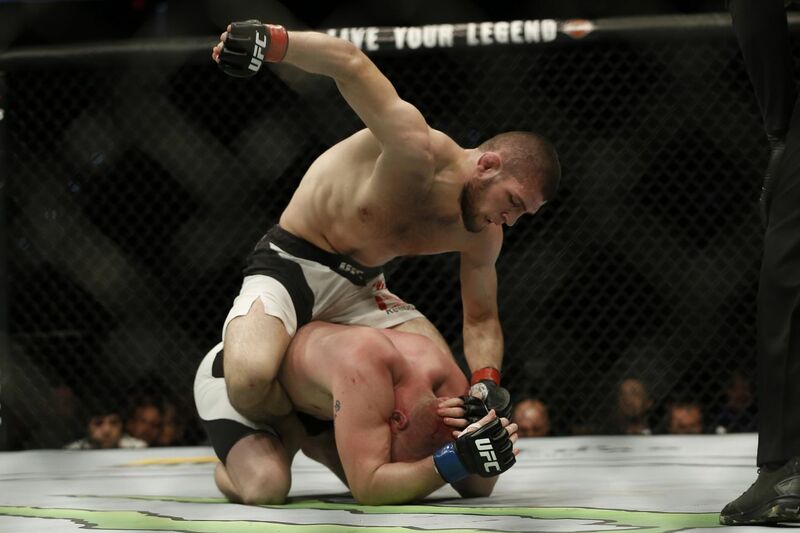 While it remains unclear what Nurmagomedov’s role would entail, Vasilyev explained that he wants the fighter to “cooperate in the interests of Dagestan and Russia” through the advancement of the sports to which he “dedicated his entire life to.” The position was eventually awarded to Nurmagomedov’s father, Abdulmanap, during a ceremony in March 2019. Given the popularity of combat sports in the North Caucasus, and the longstanding precedent of Russian athletes pivoting to politics following illustrious careers, it would come as no surprise if Nurmagomedov was eventually elected to office. While this may be the case for Nurmagomedov, he simply cannot envision himself being satisfied with a desk job at this stage in his life.